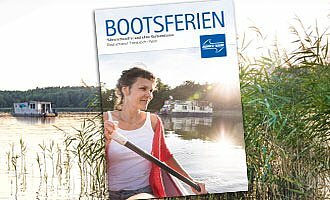 Explore the german capital Berlin by boat. Pick date, destination and boat, then count the days pending your perfect holiday adventure! Our Febomobil is ideal for crew members in wheelchairs. The pricing also attracts young families. When vacationing on the houseboat by KUHNLE-TOURS you set the priorities. Who are you, what is important to you? Are you a beginner or a sea bear? Does your crew consist of fishing or cycling enthusiasts, family members or is it just you and your sweetheart on board? Looking for nature, culture or action? Or peace and quiet? 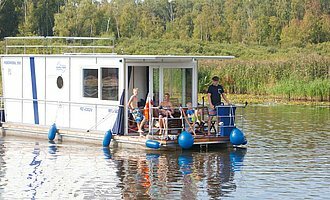 On the houseboat you can make your dream holiday come true! Discover with KUHNLE-TOURS the most beautiful spots in Europe houseboat. In Germany, France, and Poland you have the freedom to choose among six charter bases in different landscapes. Undeveloped rivers, vast lakes or secluded channels? Each area has its own charm and its own merits; always there are diversity and variety. Enjoy the underwater world in all its facets. We have a boat for you! Our charter fleet consists of 26 types of boats. From a small picnic boat for the afternoon excursion to the 25-ton truck for the very long journey, from the cozy two-person dinghy to the ship salon with 12 beds total of 130 boats wait on you. Whether family or travel group - with the yachts, boats and houseboats KUHNLE-TOURS you always travel well and safely.